Still, it is probably difficult to appreciate just how intense was that storm (particularly in an age when Dianetics has become so utterly pervasive, one imagines it was always so). But the fact is, when journalists pronounced it the “Fastest Growing Movement in America,” and cited associations “springing up like wild flowers in May,” the statements were not exaggerated in the least. Nor was Ron exaggerating when referencing a storm of letters from readers, an equally demanding flurry of requests for instruction and lectures and – once more jocularly to Hays – the “wild-eyed enthusiasts keep comin’ round and makin’ my weekends miserable.” Nonetheless, he attended to all: lecturing and instructing five days a week, graciously receiving those who banged at his New Jersey door on Saturdays and Sundays and, as evidenced here, dutifully responding to those seven thousand letters to the author. Obviously, only a fraction of those letters have been reprinted here. Included in the sampling is an impassioned note from a Vivian Shirley, one of the first of those “wild-eyed enthusiasts” to appear on the Bay Head doorstep, a sampling of letters from readers of Ron’s Evolution of a Science, and yet another sampling from readers of Dianetics itself. 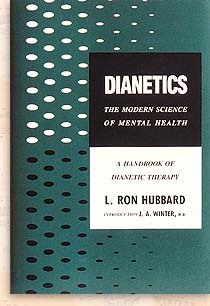 Then, too, we offer a selection of correspondence to and from the first Dianetics Research Foundations, a concise LRH statement to a then popular psychological journal and a telegram on the arrival of the famous Countess Motorboat – Ron’s remarkably intelligent calico cat who kept pages of the manuscript from scattering in the breeze through the Bay Head windows.